Kawasaki eyewear is a namesake collection created by an award winning industrial designer, Kazuo Kawasaki. Using an artist’s eye for creative design and a mathematician’s mind for precision, the Kawasaki collection is simple, yet sophisticated, fusing the cutting edge in optical engineering with stylish design. 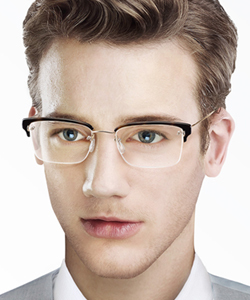 Manufactured from an innovative, top of the line material, beta titanium, the frames are light, yet strong and durable. With a screwless, three-point tension system, the eyewear is comfortable and adaptable to your unique facial structure. The customizable collection offers a wide range of frame colors, patterns and finishes as well as more than 150 different lens shapes. Perfect for the person seeking precision-design and construction in a subtle, “barely there” comfort, Kawasaki eyewear still makes a statement of classic, sophisticated style.